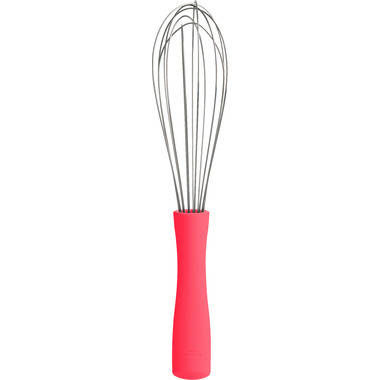 The French Whisk is the most popular multipurpose whisk. The Trudeau version has structured high-grade stainless steel wires which are perfect to vigorously whisk air into egg whites to create soft or hard peaks. It's the perfect tool to make delicious whipped cream or emulsify salad dressings. The non-slip ergonomic handle makes the process even easier. For maximum hygiene, the connection between the wires and the handle is sealed. It's even dishwasher safe for a no-fuss cleaning. 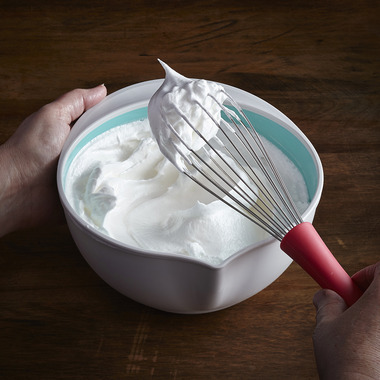 Prepare to make the best meringue with your new French Whisk!